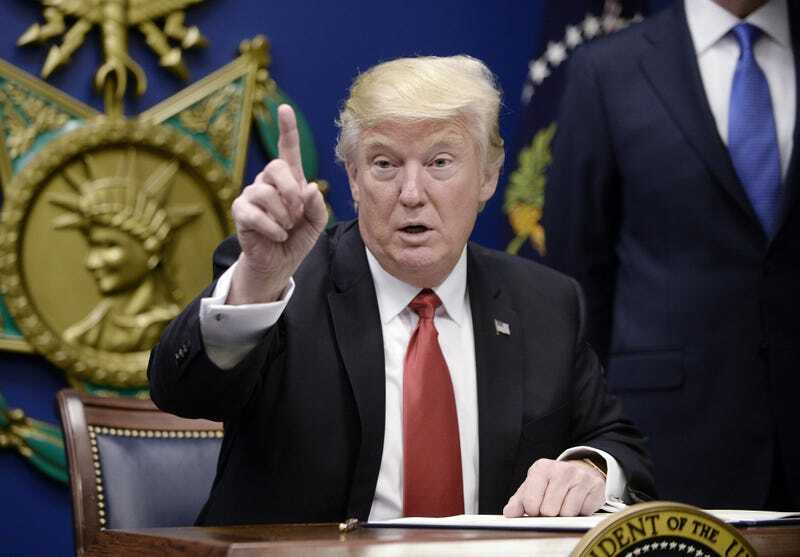 Although the precise details have yet to be revealed, on Friday a federal judge in Washington state temporarily blocked enforcement of President Donald Trump’s controversial ban on entry to the United States, and this ruling appears to be broader than others issued before it. The Washington Post reports that Judge James L. Robart, a George W. Bush appointee, granted a request from lawyers for the state of Washington who asked him to stop the government from acting on critical sections of Trump’s executive order, which bans citizens from seven Muslim-majority countries, as well as refugees and others, from entering the United States. On Friday officials from the Justice and State departments revealed that at least 60,000 and possibly as many as 100,000 visas have already been revoked as a result of Trump’s order. Because Robart did not lay out his thinking in writing, it is hard to know what the implications of his ruling will be, but he indicated in a docket entry that he would issue a written ruling later. As the Post notes, because the State Department has already revoked the visas of all immigrants and nonimmigrants from the seven listed countries, even with Robart’s ruling, those without proper documentation will still be unable to board planes. In the meantime, although immigration lawyers are still assessing the Washington case, they said Friday night that they were heartened by it. CNN reports that the White House said Friday night that the Justice Department will challenge Robart’s ruling, with the Trump administration initially calling it “outrageous,” but later dropping that word in a second statement. According to CNN, a Customs and Border Protection official said the agency will review the order and comply with all court orders, and a State Department official said that State is working with the Department of Homeland Security to determine the effect of Robart’s ruling. An airline executive told CNN that CBP told major airlines Friday night that the government is reinstating visas, and airlines are expected to start removing travel alerts from their websites and notifying customers about the changes. The automated system that U.S. airlines use is connected to the CBP to scan passports and visas and get an immediate determination as to whether a passenger is eligible to board a flight, so unless the government reinstates visas and the airlines get a “board” status, some passengers may still not be allowed to board flights.